Willem Wissing, known in England as William Wissing (1656 – 10 September 1687), was a Dutch portrait artist who worked in England. He was born in either Amsterdam or The Hague, and studied at The Hague under Willem Doudijns (1630–97) and Arnoldus van Ravestyn (1615–90). In 1676, he moved to England, where he studied with and assisted Peter Lely. 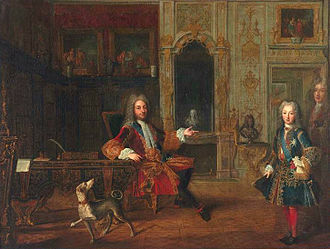 After Lely's death in 1680, Wissing emerged as his most important pupil. Godfrey Kneller was the only contemporary portrait artist in England to rival Wissing. 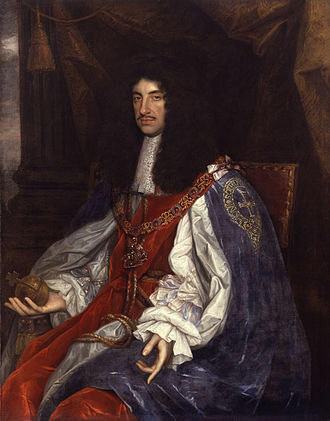 Wissing’s royal sitters include Charles II of England, Catherine of Braganza, George of Denmark and James Scott, 1st Duke of Monmouth. 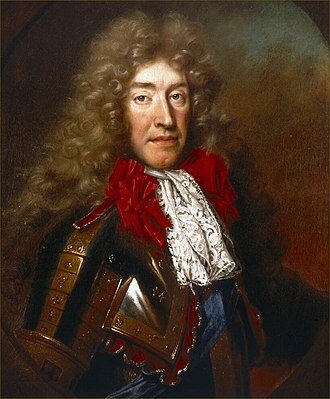 In 1685, James II of England sent Wissing to the Netherlands to paint portraits of his Dutch son-in-law and daughter, the future William III of England and the future Mary II of England. The portraits were often repeated; versions are on display in the Great Hall of the Wren building at the College of William and Mary in Williamsburg, Virginia. 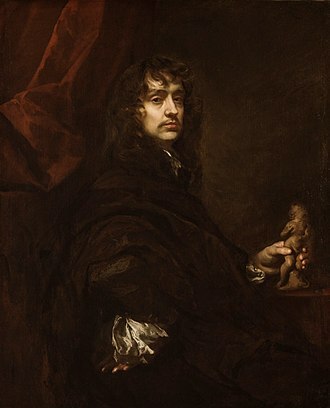 Wissing died in 1687 at the peak of his fame as a portrait painter, at Burghley House, the home of John Cecil, 5th Earl of Exeter near Stamford in Lincolnshire. Some suspected he was poisoned out of jealousy of his success. According to Arnold Houbraken his epitaph was Immodicis brevis est aetas, meaning Brief is the life of the outstanding. He was buried in St Martin's Church, Stamford, Lincolnshire. Fellow Dutch immigrant Jan van der Vaardt worked in his workshop and added the draperies and landscapes in the portraits painted by Wissing. 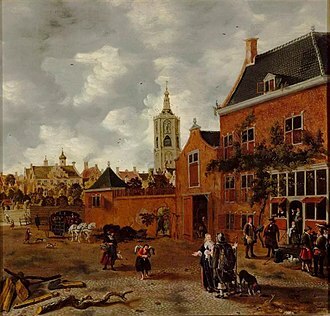 After Wissing's death in 1687, van der Vaart continued Wissing's workshop. Many of Wissing's portraits of prominent sitters and his self-portrait were disseminated in mezzotint. ^ His epitaph in St Martin's Church, Stamford is inscribed "Ws Wissingus Amstelodamensis". Millar, Sir Oliver and Margaret Whinney, Oxford History of English Art 1625–1714, Oxford, Oxford University Press, 1957, 177. Wikimedia Commons has media related to Willem Wissing. Laurence Hyde, 1st Earl of Rochester, KG, PC was an English statesman and writer. He was originally a supporter of James II but supported the Glorious Revolution in 1688 and he held high office under Queen Anne, who was his sisters daughter, but their frequent disagreements limited his influence. The second son of Edward Hyde, 1st Earl of Clarendon and his wife, Frances Aylesbury. He was baptized at St Margarets, Westminster on 15 March 1642, following the Restoration, he sat as member of parliament, first for Newport and for the University of Oxford, from 1660 to 1679. 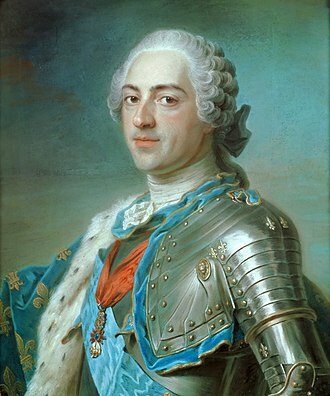 In 1661, he was sent on an embassy to Louis XIV of France. 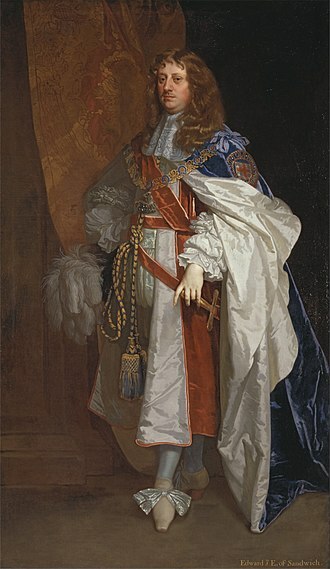 Hyde was an opponent of the Exclusion Bill that would have prevented James and he was created Earl of Rochester, Viscount Hyde of Kenilworth, and Baron Wotton Basset on 29 November 1682. 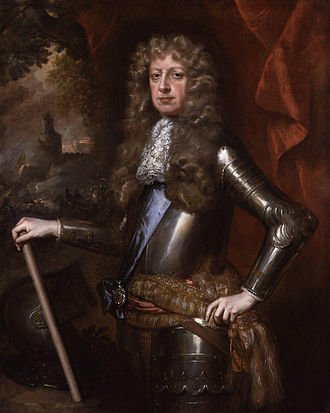 Rochesters enemy Lord Halifax called for an inquiry into Rochesters stewardship of the finances, as a consequence Rochester was, in August 1684, removed from office and given the post Lord President of the Council, a more dignified but less lucrative and important office. Halifax said, I have seen people kicked down stairs but my Lord Rochester is the first person that I ever saw kicked up stairs, but in spite of their family relationship and their long friendship and his Treasurer did not agree. The king wished to surround himself with Roman Catholic advisers, the Earl, on the other hand, looked with alarm on his masters leanings to that form of faith. In 1686, James tried to convert Rochester to Catholicism and every audience Rochester had with the king was spent in arguments over the authority of the Church, Rochester had interviews with Catholic divines in order to appear open-minded but he refused to convert. The king agreed to a conference between Catholic and Protestant divines in a formal disputation, James allowed Rochester to choose any Anglican ministers except John Tillotson and Edward Stillingfleet. Rochester chose two chaplains who happened to be in waiting, Simon Patrick and William Jane, the conference was held in secret on 30 November at Whitehall and the divines discussed the real presence, with the Catholics taking on the burden of proof. St Martins Church, Stamford, is a parish church in the Church of England located in Stamford, England. The area of the south of the River Welland was in Northamptonshire until 1889 and is called Stamford Baron or St Martins. St Martins Church was founded by the 12th century and it was entirely rebuilt in the Perpendicular style in the 15th century. The North Chapel houses the tombs of the Cecil family, including monuments to William Cecil, first Lord Burghley, and John Cecil, 5th Earl of Exeter. The church was restored over the course of the century, with a new nave roof, lowered floor, extended Burghley Chapel, as well as new oak pews, bells. The majority of the coloured glass was bought by the Earl of Exeter from the Church of the Holy Trinity at Tattershall in 1754. Properly it is the Church of St Martin Without, Stamford Baron, burials include Dutch portrait painter William Wissing, in the churchyard, and Daniel Lambert, in the detached part of the churchyard. The church has an organ by Bevington dating from 1880, a specification of the organ can be found on the National Pipe Organ Register. 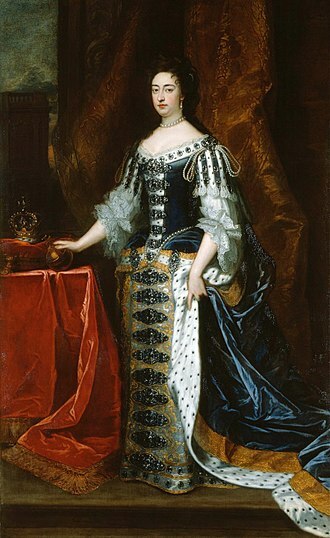 Catherine of Braganza was Queen of England and Ireland from 1662 to 1685, by marriage to King Charles II. She served as regent of Portugal during the absence of her brother in 1701 and 1704-05, owing to her devotion to the Roman Catholic beliefs in which she had been raised, Catherine was an unpopular consort for Charles II. She was an object of attack by the inventors of the Popish Plot. In 1678 the murder of Sir Edmund Berry Godfrey was ascribed to her servants and these charges, the absurdity of which were soon shown by cross-examination, nevertheless placed the queen for some time in great danger. On 28 November Oates accused her of treason, and the Commons passed an order for her removal. A series of depositions were made against her, and in June 1679 it was decided that she must stand trial, but she was protected by the king. Catherine had three miscarriages and produced no heirs and her husband kept many mistresses, most notably Barbara Palmer, whom Catherine was forced to accept as one of her Ladies of the Bedchamber. 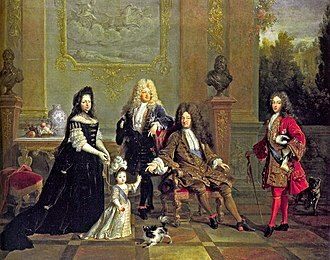 Charles fathered numerous illegitimate offspring by his mistresses whom he acknowledged and she and Charles are credited with introducing the custom of drinking tea to the British court, which was common among the Portuguese nobility. Catherine was born at the Ducal Palace of Vila Viçosa, as the surviving daughter of John, 8th Duke of Braganza and his wife. Following the Portuguese Restoration War, her father was acclaimed King John IV of Portugal, despite her countrys ongoing struggle with Spain, Catherine enjoyed a happy, contented childhood in her beloved Lisbon. Commonly regarded as the power behind the throne, Queen Luisa was a mother who took an active interest in her childrens upbringing. Catherine is believed to have spent most of her youth in a convent close by the palace where she remained under the watchful eye of her protective mother. It appears to have been a sheltered upbringing, with one contemporary remarking that Catherine, was bred hugely retired. Catherines older sister, Princess of Beira, died in 1653 and her husband was chosen by Luisa, who acted as regent of her country following her husbands death in 1656. It is a coincidence that his regnal number was the same for both Orange and England. As King of Scotland, he is known as William II and he is informally known by sections of the population in Northern Ireland and Scotland as King Billy. William inherited the principality of Orange from his father, William II and his mother Mary, Princess Royal, was the daughter of King Charles I of England. 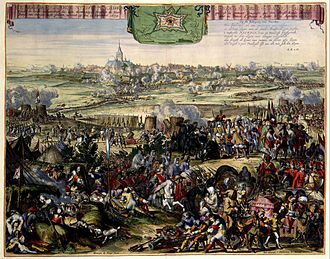 In 1677, he married his fifteen-year-old first cousin, Mary, a Protestant, William participated in several wars against the powerful Catholic king of France, Louis XIV, in coalition with Protestant and Catholic powers in Europe. 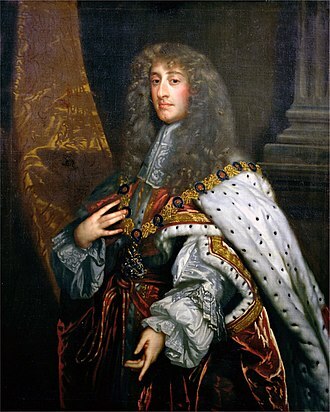 Many Protestants heralded him as a champion of their faith, in 1685, his Catholic father-in-law, Duke of York, became king of England and Scotland. Jamess reign was unpopular with the Protestant majority in Britain, supported by a group of influential British political and religious leaders, invaded England in what became known as the Glorious Revolution. On 5 November 1688, he landed at the southern English port of Brixham, James was deposed and William and Mary became joint sovereigns in his place. 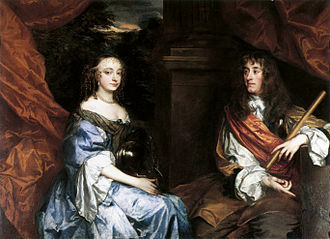 They reigned together until her death on 28 December 1694, after which William ruled as sole monarch, Williams reputation as a staunch Protestant enabled him to take the British crowns when many were fearful of a revival of Catholicism under James. 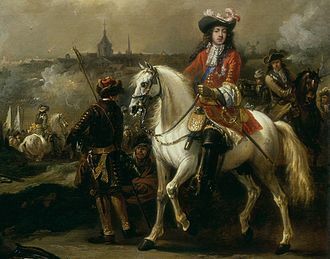 Williams victory at the Battle of the Boyne in 1690 is still commemorated by the Orange Order and his reign in Britain marked the beginning of the transition from the personal rule of the Stuarts to the more Parliament-centred rule of the House of Hanover. William III was born in The Hague in the Dutch Republic on 4 November 1650, baptised William Henry, he was the only child of stadtholder William II, Prince of Orange, and Mary, Princess Royal. 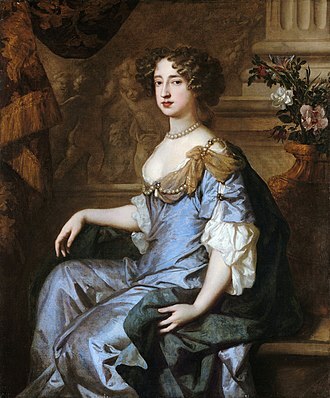 Mary was the eldest daughter of King Charles I of England and Ireland, eight days before William was born, his father died of smallpox, thus William was the Sovereign Prince of Orange from the moment of his birth. Immediately, a conflict ensued between his mother the Princess Royal and William IIs mother, Amalia of Solms-Braunfels, over the name to be given to the infant. Mary wanted to name him Charles after her brother, but her mother-in-law insisted on giving him the name William or Willem to bolster his prospects of becoming stadtholder. 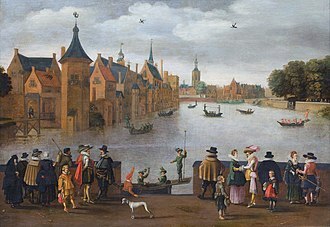 William II had appointed his wife as his sons guardian in his will, Williams mother showed little personal interest in her son, sometimes being absent for years, and had always deliberately kept herself apart from Dutch society. 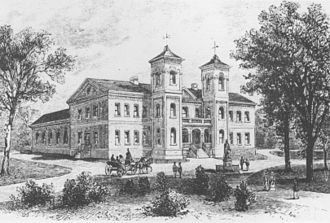 Williams education was first laid in the hands of several Dutch governesses, some of English descent, including Walburg Howard, from April 1656, the prince received daily instruction in the Reformed religion from the Calvinist preacher Cornelis Trigland, a follower of the Contra-Remonstrant theologian Gisbertus Voetius. 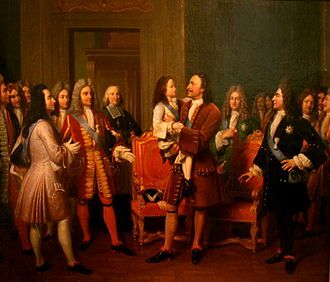 The ideal education for William was described in Discours sur la nourriture de S. H. Monseigneur le Prince dOrange, in these lessons, the prince was taught that he was predestined to become an instrument of Divine Providence, fulfilling the historical destiny of the House of Orange. Sir Peter Lely was a painter of Dutch origin, whose career was nearly all spent in England, where he became the dominant portrait painter to the court. Lely was born Pieter van der Faes to Dutch parents in Soest in Westphalia, Lely studied painting in Haarlem, where he may have been apprenticed to Pieter de Grebber. 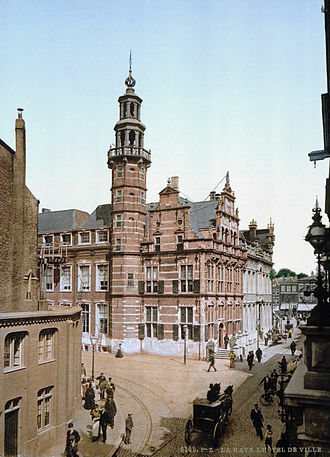 He became a master of the Guild of Saint Luke in Haarlem in 1637 and he is reputed to have adopted the surname Lely from a heraldic lily on the gable of the house where his father was born in The Hague. He arrived in London in around 1641, which was marked by the death of Anthony van Dyck in December and his early English paintings, mainly mythological or religious scenes, or portraits set in a pastoral landscape, show influences from Anthony van Dyck and the Dutch baroque. Lelys portraits were well received, and he succeeded Anthony van Dyck as the most fashionable portrait artist in England and he became a freeman of the Painter-Stainers Company in 1647 and was portrait artist to Charles I. His talent ensured that his career was not interrupted by Charless execution, and he served Oliver Cromwell, whom he painted warts and all, in the years around 1650 the poet Sir Richard Lovelace wrote two poems about Lely – Peinture and See what a clouded majesty. After the English Restoration in 1660, Lely was appointed as Charles IIs Principal Painter in Ordinary in 1661, with a stipend of £200 per year, Lely became a naturalised English subject in 1662. The young Robert Hooke came to London to follow an apprenticeship with Lely before being given a place at Westminster School by Richard Busby, demand was high, and Lely and his large workshop were prolific. After Lely painted a head, Lelys pupils would often complete the portrait in one of a series of numbered poses. As a result, Lely is the first English painter who has left a mass of work. On Lely’s death in 1680 his executors employed a dozen such slaves to complete for sale the many unfinished canvases stacked about his studio and his most famous non-portrait work is probably Nymphs by a fountain in Dulwich Picture Gallery. Williamsburg is an independent city in the Commonwealth of Virginia. As of the 2010 census, the population was 14,068, in 2014, the population was estimated to be 14,691. Located on the Virginia Peninsula, Williamsburg is in the part of the Hampton Roads metropolitan area. It is bordered by James City County and York County, Williamsburg was founded in 1632 as Middle Plantation, a fortified settlement on high ground between the James and York rivers. The city served as the capital of the Colony of Virginia from 1699 to 1780 and was the center of events in Virginia leading to the American Revolution. S. Presidents as well as other important figures in the nations early history. The citys tourism-based economy is driven by Colonial Williamsburg, the restored Historic Area of the city, along with nearby Jamestown and Yorktown, Williamsburg forms part of the Historic Triangle, which attracts more than four million tourists each year. Modern Williamsburg is a town, inhabited in large part by William & Mary students. Prior to the arrival of the English colonists at Jamestown in the Colony of Virginia in 1607, by the 1630s, English settlements had grown to dominate the lower portion of the Virginia Peninsula, and the Powhatan tribes had abandoned their nearby villages. Jamestown was the capital of Virginia Colony, but was burned down during the events of Bacons Rebellion in 1676. The members of the House of Burgesses discovered that the location was both safer and more pleasant environmentally than Jamestown, which was humid and plagued with mosquitoes. A school of education had long been an aspiration of the colonists. An early attempt at Henricus failed after the Indian Massacre of 1622, the location at the outskirts of the developed part of the colony had left it more vulnerable to the attack. In the 1690s, the colonists tried again to establish a school and they commissioned Reverend James Blair, who spent several years in England lobbying, and finally obtained a royal charter for the desired new school. Lord Burghley was the chief advisor of Queen Elizabeth I for most of her reign. Saint Agnes, mezzotint by John Smith after Godfrey Kneller, usually thought to be a portrait of his daughter, Catherine Voss, by his mistress. The first known mezzotint, by Ludwig von Siegen, 1642. Worked from light to dark. 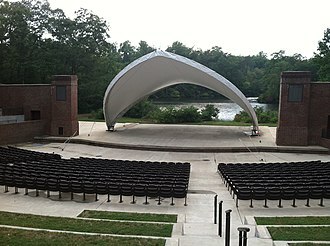 The renovated Matoaka Amphitheater scenically located on the shore of Lake Matoaka. A Vestal Virgin with a fuming incense burner . Roman sculpture seen from the front, drawn by Doudijns, and engraved by Jan de Bisschop. 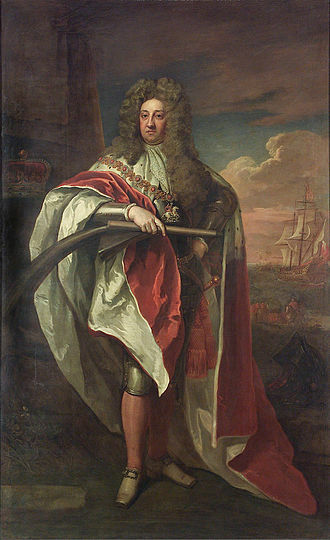 John Cecil, 5th Earl of Exeter. Houbraken portrayal of the Commemoration of King Mausolus by Queen Artemisia. Laurence Hyde, Earl of Rochester, by Nicolaes Maes (c. 1685–1687).